How good or bad is your network coverage? it'll be wise to contact your carrier/network regarding this, perhaps even getting a brand new SIM card. My phone is going straight to voicemail. I saw the response that suggetsed checking signal strength and this reads "-97 dBm 43 asu"... Unfortunately I have no idea what this means and si still have a problem! Please advise, someone!! I believe the Qualcomm chipset that governs LTE + phone calls can go bad. It did in mine. 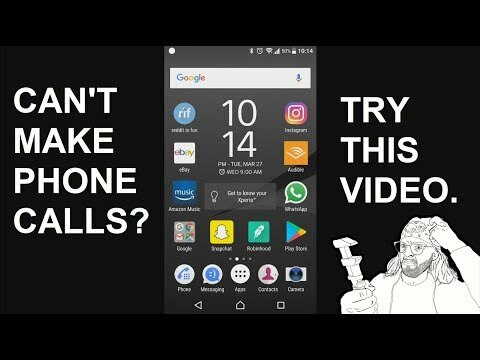 If you can't make or receive phone calls, and it goes straight to voice mail, try the things I talk about in this video. This phone is a Sony Xperia Z5. I've tried Sony support, T-Mobile support, searched forums, nothing helped. Figured out an interesting trick to make my phone... a phone again.